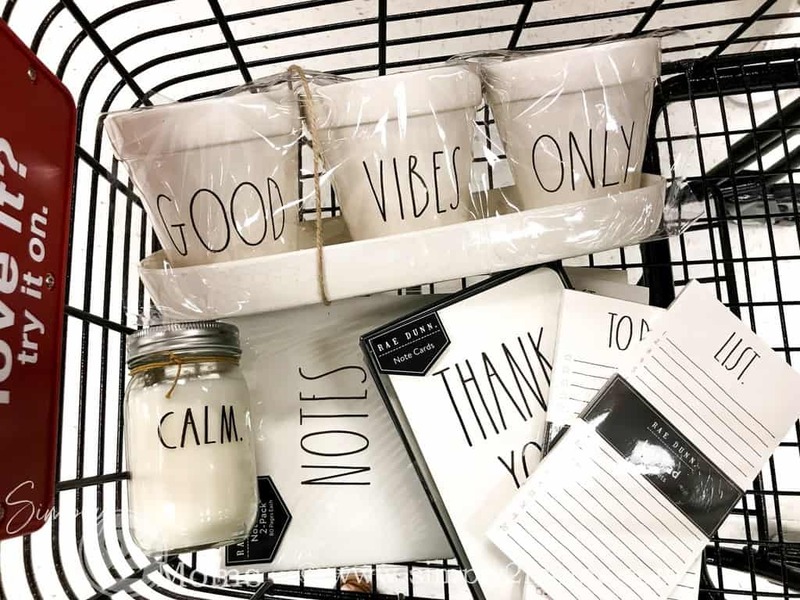 If you follow Simply2Moms on Instagram you may have seen my post from Thursday when I was shopping at TJ Maxx. My daughter wanted to go look for a planner for back to school. While we were there I happened to find lots of Rae Dunn goodies! So, going into TJ Maxx for a $7.99 planner may have caused me to spend a bit more. Oops! Does that happen to anyone else? My sister introduced me to Rae Dunn several months ago and now I’m having so much fun hunting for items. Although I can see how this can quickly become a problem! Somehow I feel like I need things I didn’t know I needed before I saw them. Does that ever happen to you? Anyway, I was texting her pictures while shopping like we often do and she asked me to grab a few packs of thank you cards and notepads for her. We may have had a little miss communication about those awesome herb planters. I wanted them for myself and she thought I bought them for her. So… if anyone happens to find another set of these let me know…thanks! And Trisha…I’ll bring them to you at Christmas…okay? Sorry…not sorry! I’ve wanted to plant mint for mojitos but didn’t get around to doing it yet this summer. 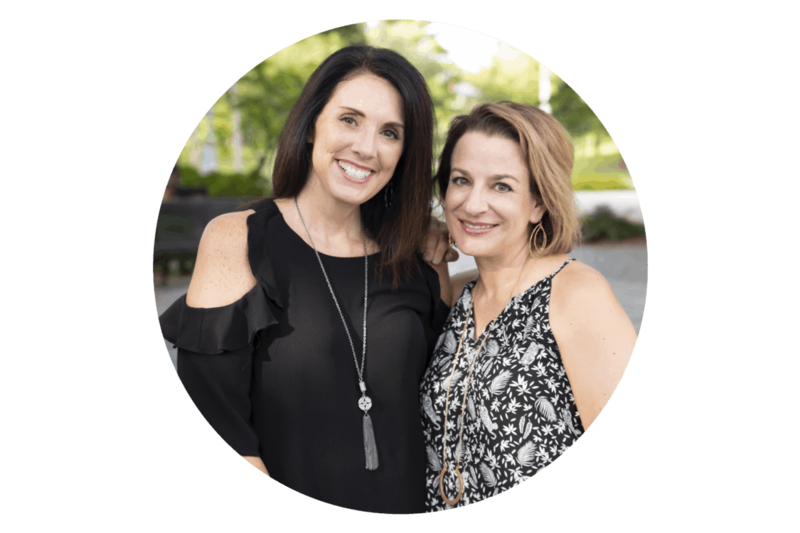 Remember that awesome recipe Anne shared for Low Carb Mojitos? Yum! You can find the recipe here. 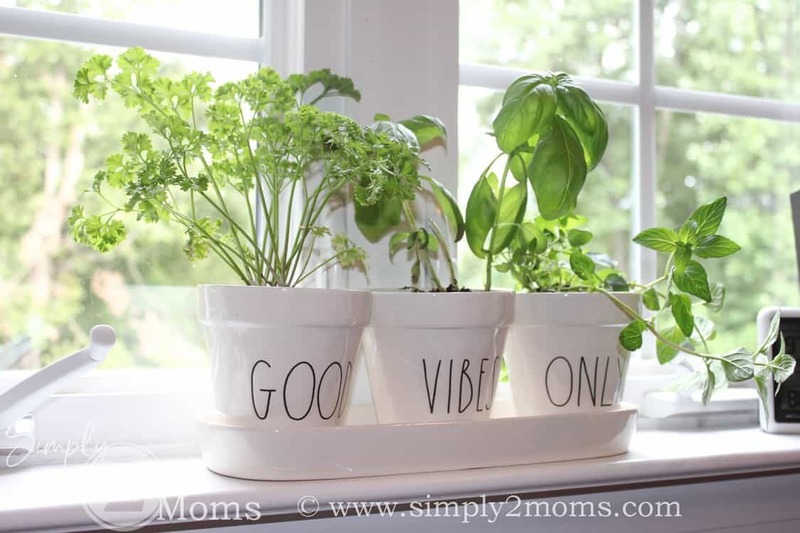 When I saw these Rae Dunn Herb Planters and tray I thought they would be perfect on my windowsill. And I could finally plant some mint! 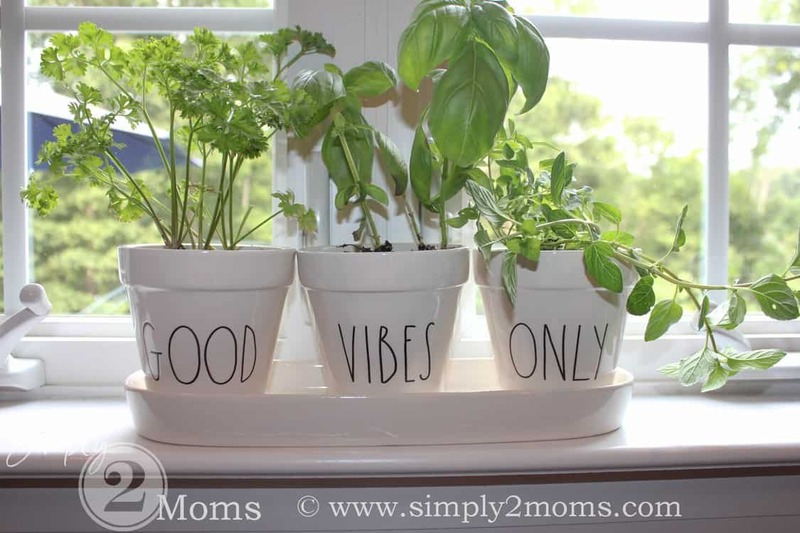 Today I went to Lowes and grabbed cilantro, basil and mint plants to add to the pots. Once they were planted they just looked pretty! I love it! It almost makes me look like I love to cook or like I know what I’m doing in the kitchen…haha! Well…at least I know how to muddle the mint in my low carb mojito. 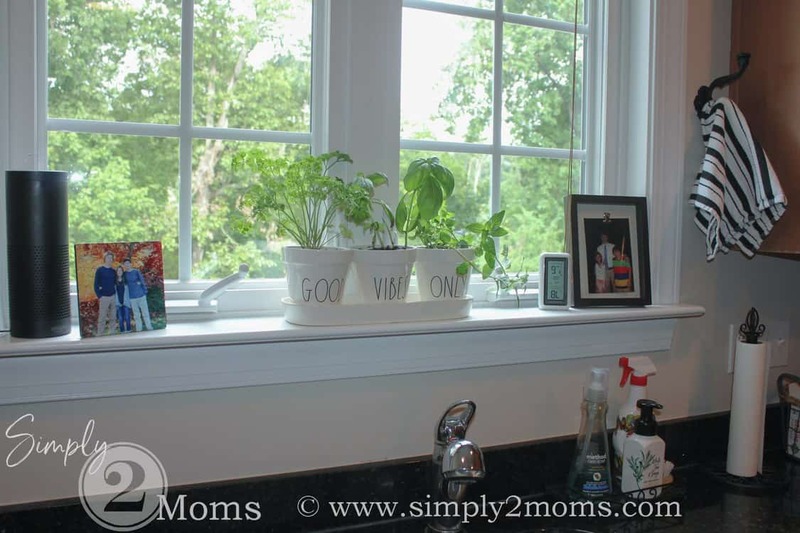 And one more close up because…those planters are just too cute! Hahaha! Too funny. You can keep them. They look great! No worries…I’m on the hunt for a set for you!